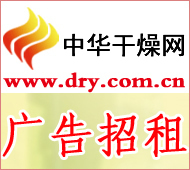 China Drying News In the morning of December 29th, 2012, the â€œChengde National Tailings Comprehensive Utilization Base Construction Initiation Conference and Cooperation Project Signing Ceremonyâ€ was held at the Chengde Xinggong Hotel. Mr. Xiao Chunquan, Director of National Bureau of Industry and Information Technology Coordination, Deputy Director of the General Office Tao Shaohua, Deputy Director of the Department of Energy Conservation and Comprehensive Utilization Yang Tiesheng, Deputy Director of Planning Department of Ministry of Land and Resources, Jianhua Jian, China Building Material Industry Federation, China Resources Comprehensive Utilization Association Leaders attended the meeting. According to Li Wei, deputy mayor of Chengde City, Chengde has a superior geographical position, good ecology, rich culture, and rich resources. It is a world-renowned historical and cultural city, a charming city of ecological civilization, and a â€œreliant mineâ€. "Resources and resources". At present, 98 minerals have been discovered, and 52 species have been developed and utilized. The proven reserves of vanadium and titanium rank second in the country, the reserves of molybdenum and fluorite rank the fourth in the country, and the reserves of lead, silver, platinum, palladium and phosphate have ranked first in Hebei Province. . In recent years, Chengde City has relied on its unique mineral resources to vigorously develop the mining economy, which has effectively supported the city's rapid economic development and its financial resources. By the end of 2011, Chengde City had a total of 826 tailings ponds, accounting for 1/17 of the country and 1/4 of the province. The average annual tailings output was about 200 million tons, and the cumulative amount of deposits was about 1.6 billion tons. Tested by a national authority, the tailings in Chengde City contain iron, phosphorus, titanium, tantalum, niobium, silicon and other metals and non-metallic valuable elements, and there are no radioactive substances and other harmful components. It can carry out re-extraction of valuable components, can produce aggregates for sand and gravel, dry mortar and wall materials, and can produce high-grade building materials such as imitation stone-like wood flooring, high-performance air-entrained plates and microcrystalline products, and can also be used for Improve soil and make controlled release fertilizers. In the long run, Chengde City's tailings can cover almost all areas of tailings comprehensive utilization, and is suitable for multiple development and multi-level utilization. At the meeting, the Director of the Ministry of Industry and Information Technology, Xiao Chunquan, the Provincial Minister of Industry and Information Technology, Wang Chang, the Secretary of the Chengde Municipal Party Committee, Mr. Zheng Xuebi, and the Mayor of the Municipal Government, Zhao Fenglou jointly launched the button for the â€œConstruction of Chengde State-level Tailings Comprehensive Utilization Base.â€ On behalf of the Chengde Municipal Government, Mayor Zhao Fenglou signed cooperation agreements with several major universities, key enterprises, and associations. Some county governments and Chengde-related enterprises have signed different types of cooperation agreements with major companies and research institutes.